We’d like to introduce Paloma. She’s the newest addition to The Lounge Co. family, and we’ll think it’ll be ‘Love at First Sit’. Deep and soft, Paloma provides indulgent comfort in a modern tailored framework, proving you don’t have to sacrifice style to achieve satisfying snugness. It’s the feather-wrapped foam cushions that make Paloma so soft, with the added benefit of the foam springing back into shape after you get up. You’ll find Paloma in four sizes; a 4 Seater Sofa, 3 Seater Sofa, 2.5 Seater Sofa and a Snuggler. Discover the whole range here. The Paloma 4 Seater provides the ultimate in sumptuousness. Her generous proportions are made easier to handle by the sofa being split into two pieces; perfect if you’re after a big sofa but are worried about how you’ll get it into your house! If your lounge is on the small size, but you’re still after a dose of comfort, then the Paloma Snuggler could become the favourite seat in your lounge! We’d recommend reading our measuring guide before deciding on any sofa to make sure it will actually fit through your door and into your room of choice. Would Paloma Suit My Lounge? Paloma is one of those clever sofas who’ll adapt to her surroundings. Depending on your choice of fabric and your style of decor, you’ll be surprised at how versatile she is. If stylish simplicity is the look in your living room, then Paloma’s clean lines will suit any of our gorgeous grey fabrics (we’ve got more than 20 to choose from). 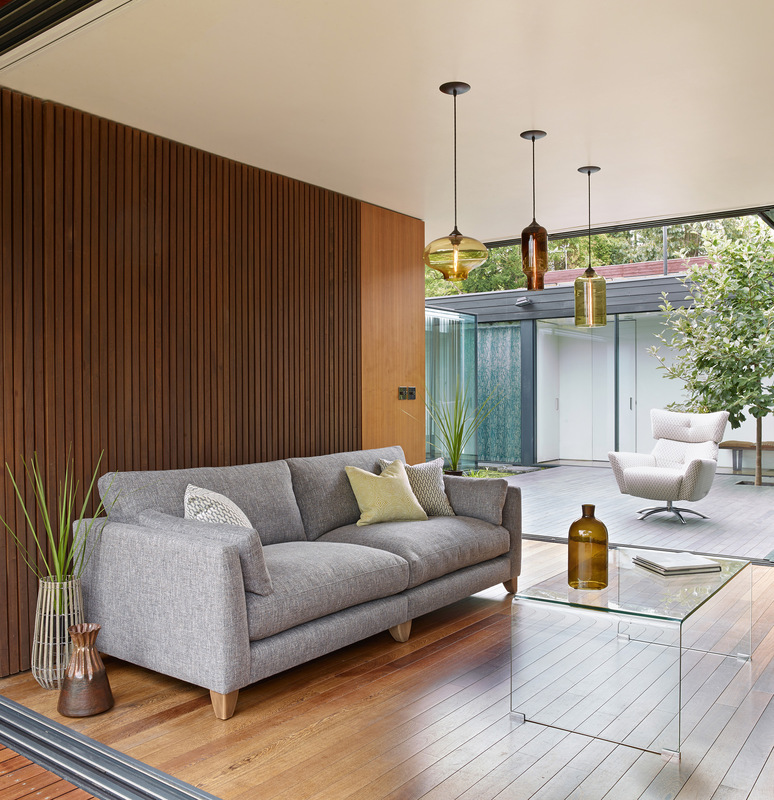 Keep your walls neutral and choose accessories in plain colours or modern geometrics. Maybe your tastes are a little more classic? Paloma’s elegant design looks effortless upholstered in pale, neutral shades such as Herringbone - Unicorn Horn (shown above). A fabric like this won’t date and is easy to accessorise; a subtle patterned wallpaper will add traditional style to your decor. If neutrals are just too prosaic, and you really want to make a statement, then Paloma’s unfussy detailing can take the boldest of colours. We’re a fan of the decadent look that choosing a bold velvet creates, or if you’re worried about a bright colour keeping it’s vibrancy then you could consider choosing a Family Friendly Fabric such as Dolphin Nose (Family Friendly Soft Chenille). If you love the look of our lifestyle photography (thanks to the talented Kalory Photo & Video), then you might like to opt for a retro theme with a botanical twist. Start with a neutral fabric for your sofa - we’ve gone for grey in the form of Tweedy Weave - Shark Fin, then it’s all about the accessories. Keep the palette to a range of natural greens, browns and yellows. We’ve chosen contrasting textures; vintage style glass and pottery vases, wicker plant pots (don’t forget an array of vibrant green houseplants) and a retro table in curved, clear glass. Add softness with a selection of The Lounge Co. cushions; we’d recommend Metsa Steel, Kateri Lime and Blue-Coral Snake. Feeling the love? You can view the entire Paloma range here, or download the product card for full details including prices and dimensions. 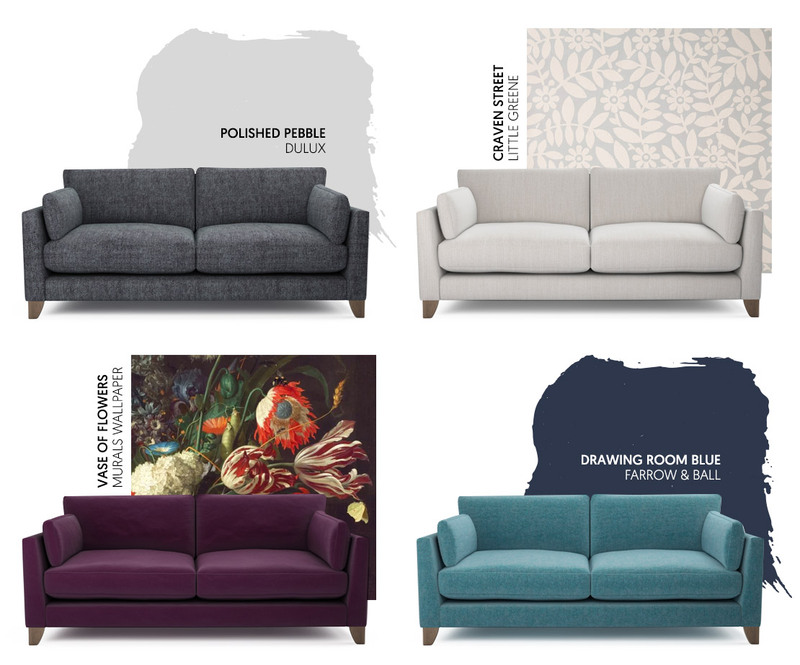 Once you've decided on the size, you can order up to 8 FREE fabric samples to choose the perfect one for your lovely new sofa. Then sit back, relax and enjoy the deep and loungey comfort that Paloma offers. We can’t be held responsible if you don’t want to get back up!